Summer is coming and that means the world will begin celebrating Pride with most celebrations ramping up in late April and May. With most gay prides happening in the month in May and June, tickets, marches, parties and other Pride events are already set for some of the biggest pride celebrations in the world – including World Pride being held in New York City this year. In 1969, the Stonewall Riots sparked a movement for LGBTQ+ rights and thousands took to the streets to fight for equality. 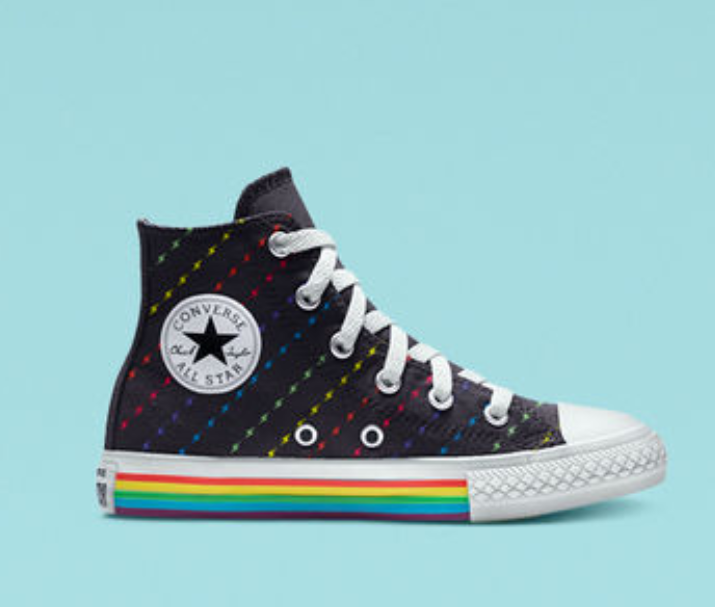 Today., we’re celebrating the LGBTQ+ community and their allies with this new line of PRIDE-worthy Chucks. 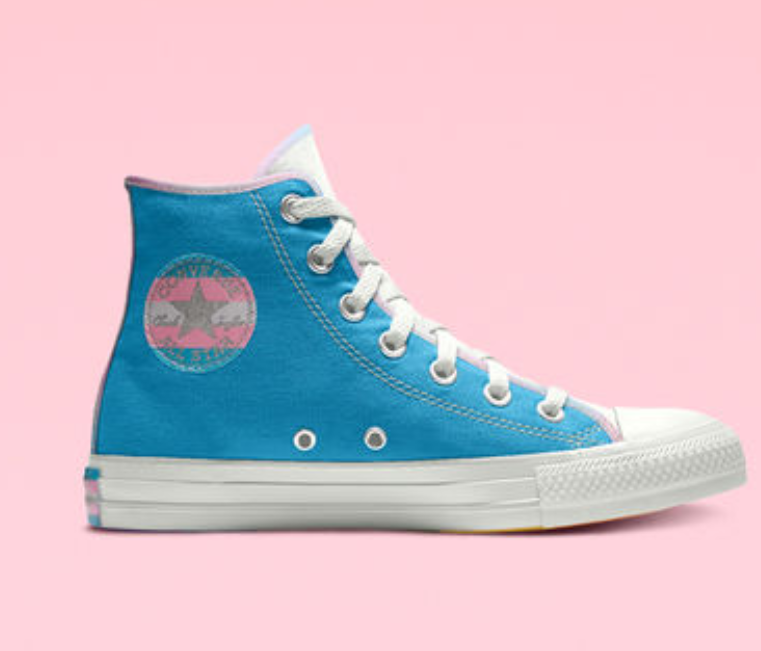 And this year, the company is promoting their first trans sneakers. The Trans color shoes retail for $80. 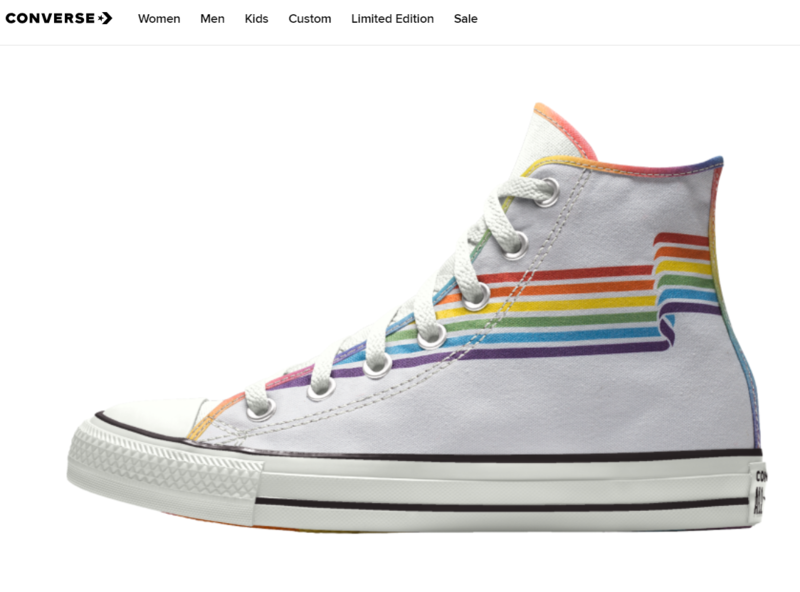 Customers interested in supporting trans rights can customize their Pride shoes to add Trans Pride accents and flair. 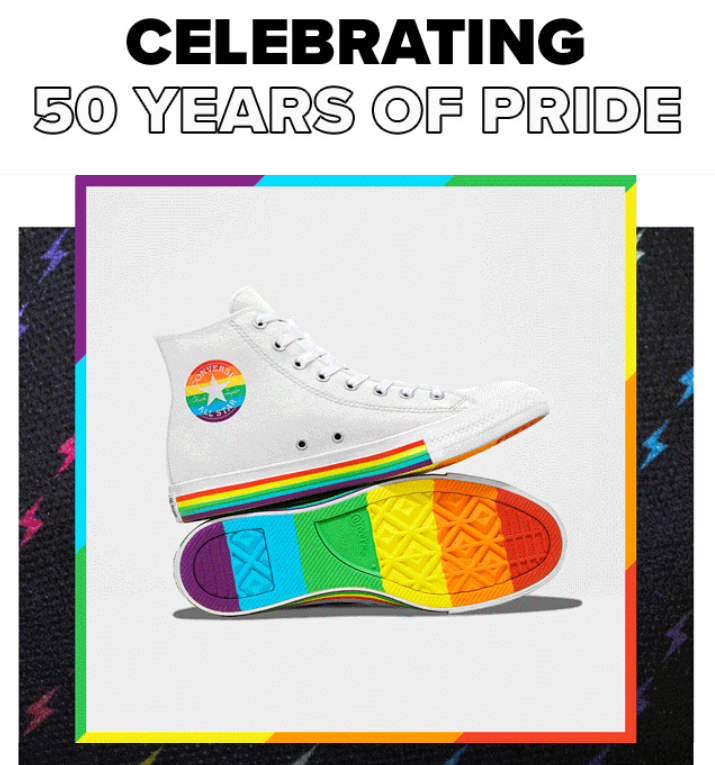 However you feel about corporations participating in gay Pride celebrations, the move by Converse is a big step forward symbolically. Whatever your identity in the LGBTQ+ community, you have options. 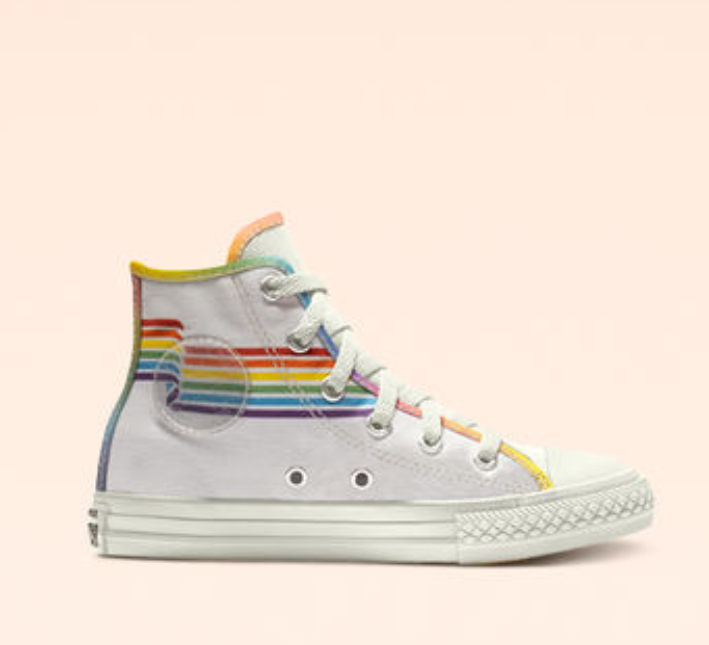 You can choose from Converse’s exisiting gay PRIDE designs and selection or personalized your own PRIDE sneakers to best suit your outfit. 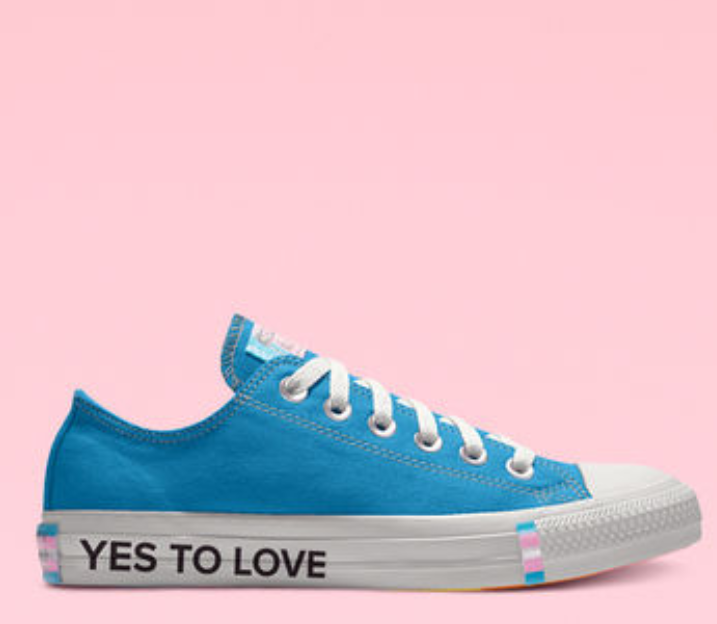 Celebrate love and equality in rainbow-colored Chucks, or however you want to express yourself.